Brendan P. Farrell, Jr. is executive vice president and general manager at SunGard. With more than 30 years of experience in financial services, Brendan is responsible for the overall management and development of the company’s corporate actions businesses. 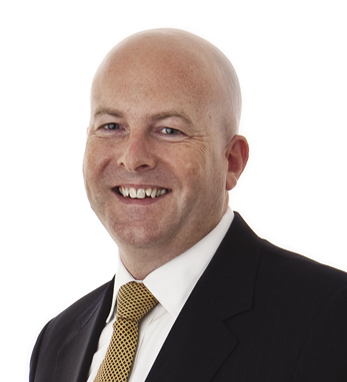 Brendan was founder and chief executive officer of XSP, acquired by SunGard in 2012. In 2009, Brendan created IMMRAM, an informal network for the Irish diaspora. He has remained connected to the Irish-American community through involvement in a number of organizations including the American Ireland Fund, Self Help Africa, the St. Patrick’s Day Foundation, and the Friends of Athlone Institute of Technology Foundation. Born in New York City to Brendan, Sr. of Co. Longford and Rita McAuliffe of Co. Kerry, Brendan was raised in Longford Town, where his family ran O’Farrell’s Bar and Grocery. A graduate of the Athlone Institute of Technology, he now lives in Denville, NJ with his wife, Christine. Their children, Dylan and Brianna, are undergraduates at Drexel University and George Washington University.